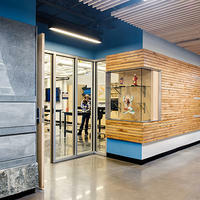 VMDO’s designs for K12 learning environments strive to tap into the inherent intelligence of students in order to inspire a sense of well-being and a love of learning. We believe that the design of schools should take into account the full breadth of a child’s interior, social, and sensorial needs in order to support the academic, civic, creative, emotional, and physical development of today’s learners. 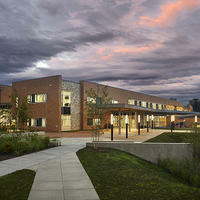 School design is known to impact student behavior, development, and academic performance. In both intangible and tangible ways, the connections a student draws between school and associated feelings of health and happiness, inquiry and autonomy, and collaboration and creativity can help inspire that child to reach his or her full educational potential. By celebrating learning in all its diverse forms and expressions, and the potential of each child in much the same way, the design of schools can support the development of curious, compassionate, and engaged twenty-first century learners. It is with the whole child in mind that we design schools of lasting value for students, teachers, parents, and the supporting community. 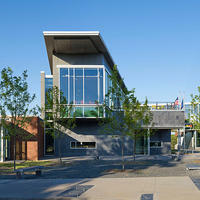 In a well-designed school, every space and surface can help contribute to teaching and learning. 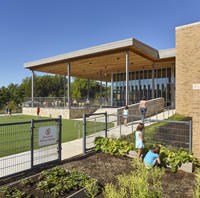 Different scales and styles of learning environments featuring flexible furnishings, views of nature, opportunities for movement and activity, technology-rich spaces, and creative wayfinding techniques can help activate learning, play, and reflection for children, inside and outside, during the school day. School buildings should expand, not limit, access to the natural world. Opening children up to nature, instead of sheltering them from it, adds another full dimension to the learning experience that supports environmental education and stewardship of the natural world. Finding creative ways to connect students to each other and the environment, while applying passive surveillance and security techniques, helps to achieve a secure yet open environment that feels like a home away from home. Finally, creating school environments that facilitate movement and healthy eating is a recommended strategy to help prevent and reduce childhood obesity. Healthy design guidelines related to activity and food consumption can ameliorate student esteem, behavior, and academic performance and provide for a better educational experience overall. 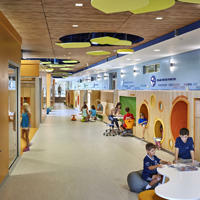 Ultimately, a well-designed school that supports the whole child should be a place of joy – where learning, play, and self-discovery occur seamlessly throughout the school day and expand the realm of possibility beyond the confines of the built environment to the greater community and world beyond.